What is Domestic Policy in Government? 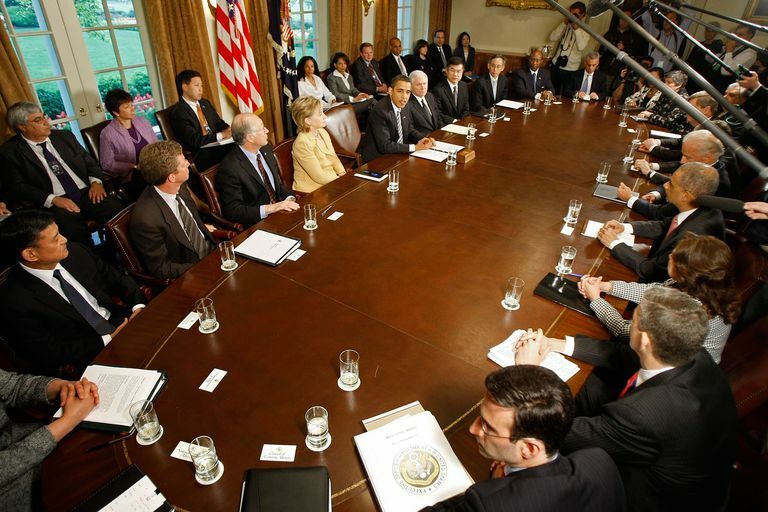 What is Domestic Policy in US Government? The term “domestic policy” refers to the plans and actions taken by a national government to deal with issues and needs present within the country itself. Domestic policy is generally developed by the federal government, often in consultation with state and local governments. The process of dealing with U.S. relations and issues with other nations is known as "foreign policy." At its basic level, the goal of the domestic policy is to minimize unrest and dissatisfaction among the nation’s citizens. To accomplish this goal, domestic policy tends to stress areas such as improving law enforcement and healthcare. In the United States, domestic policy can be divided into several different categories, each concentrated on a different aspect of life in the U.S.
Regulatory Policy – focuses on maintaining social order by outlawing behaviors and actions that endanger the public. This is typically accomplished by enacting laws and policies banning individuals, companies, and other parties from taking actions that might endanger social order. Such regulatory laws and policies might range from mundane issues like local traffic laws to laws protecting the right to vote, preventing racial and gender discrimination, stopping human trafficking and fighting illegal drug trade and use. Other important regulatory policy laws protect the public from abusive business and financial practices, protect the environment, and ensure safety in the workplace. Distributive Policy – focuses on ensuring the fair provisions of taxpayer-supported government benefits, goods, and services to all individuals, groups, and corporations. Such goods and services funded by citizens’ taxes include items like public education, public safety, roads and bridges, and welfare programs. Tax-supported government benefits include programs such as farm subsidies and tax write-offs to promote home ownership, energy savings, and economic development. Redistributive Policy – focuses on one of the most difficult and controversial aspects of domestic policy: the equitable sharing of the nation’s wealth. The goal of the redistributive policy is to fairly transfer funds raised through taxation from one group or program to another. The aim of such redistribution of wealth is often to end or alleviate social problems like poverty or homelessness. However, since the discretionary expenditure of tax dollars is controlled by Congress, lawmakers sometimes abuse this power by diverting funds from programs that address social problems to programs that do not. Constituent Policy – focuses on creating government agencies to help provide services to the public. Over the years, for example, new agencies and departments have been created to deal with taxes, to administer programs like Social Security and Medicare, to protect consumers, and to ensure clean air and water, just to name a few. Gun Control: Despite the protection of gun ownership rights ensured by the Second Amendment, should greater restrictions be placed on the purchase and ownership of firearms in the name of public safety? Surveillance of Muslims: In an effort to prevent terror attacks by Islamic extremists, should federal and local law enforcement agencies increase surveillance of Muslims living in the United States? Term Limits: While it would require amending the Constitution, should term limits for members of the U.S. Congress be created? Social Security: Should the minimum age for retirement be raised in order to prevent the Social Security system from going broke? Immigration: Should illegal immigrants be deported or offered a path the citizenship? Should immigration from nations know to harbor terrorists be limited or banned? Drug Enforcement Policy: Is the War on Drugs still worth fighting? Should the federal government follow the trend of the states in legalizing the medical and recreational use of marijuana? The actions of the President of the United States have a major impact on two areas directly influencing domestic policy: the law and the economy. The Law: The president has primary responsibility for ensuring that the laws created by Congress and the federal regulations created by federal agencies are fairly and fully enforced. This is the reason so-called regulatory agencies like the consumer-protecting Federal Trade Commission and the environment-protecting EPA fall under the authority of the executive branch. The Economy: The president’s efforts in controlling the U.S. economy have a direct impact on the money-dependent distributive and re-distributive areas of domestic policy. Presidential responsibilities like molding the annual federal budget, proposing tax increases or cuts, and influencing U.S foreign trade policy largely determine how much money will be available to fund dozens of domestic programs affecting the lives of all Americans. When he took office in January 2017, President Donald Trump proposed a domestic policy agenda that included key elements of his campaign platform. Foremost among these were: the repeal and replacement of Obamacare, income tax reform, and cracking down on illegal immigration. Repeal and Replace Obamacare: Without repealing or replacing it, President Trump has taken several actions weakening the Affordable Care Act—Obamacare. Through a series of executive orders, he loosened the law’s restrictions on where and how Americans could buy compliant health insurance and allowed the states to impose work requirements on Medicaid recipients. Most significantly, on December 22, 2017, President Trump signed the Tax Cuts and Jobs Act, part of which repealed Obamacare’s tax penalty on individuals who fail to get health insurance. Critics have argued that the repeal of this so-called “individual mandate” removed any incentive for healthy people to buy insurance. The non-partisan Congressional Budget Office (CBO) estimated at the time that some 13 million people would drop their existing health care insurance as a result. Income Tax Reform—Tax Cuts: Other provisions of the Tax Cuts and Jobs Act signed by President Trump December 22, 2017, lowered the tax rate on corporations from 35% to 21% starting in 2018. For individuals, the act cut income tax rates across-the-board, including dropping the top individual tax rate from 39.6% to 37% in 2018. While eliminating personal exemptions in most cases, it doubled the standard deduction for all taxpayers. While the corporate tax cuts are permanent, the cuts for individuals expire at the end of 2025 unless extended by Congress. Restricting Illegal Immigration: ‘The Wall’: A key element of President Trump’s proposed domestic agenda is the construction of a secure wall along the entire 2,000-mile-long border between the U.S. and Mexico to prevent immigrants from entering the U.S. illegally. Construction of a small part of “The Wall” was scheduled to begin on March 26, 2018.